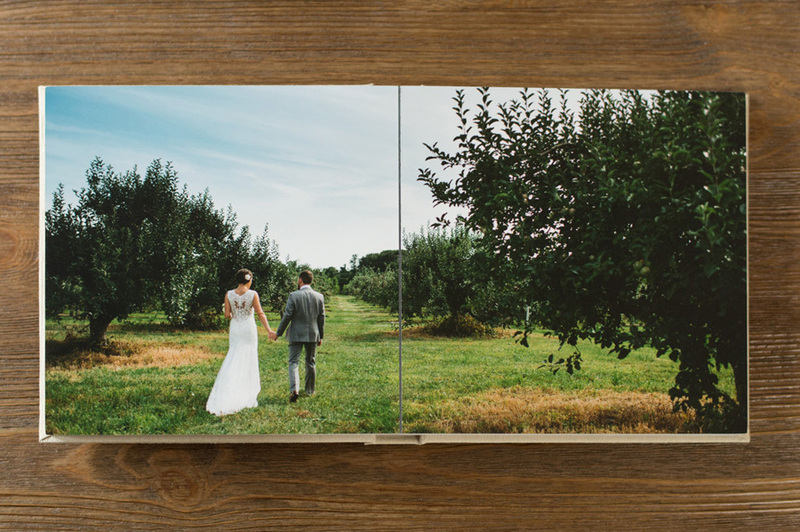 This sweet farm wedding is the perfect mixture between elegant and rustic! I love how that comes through in the album design! 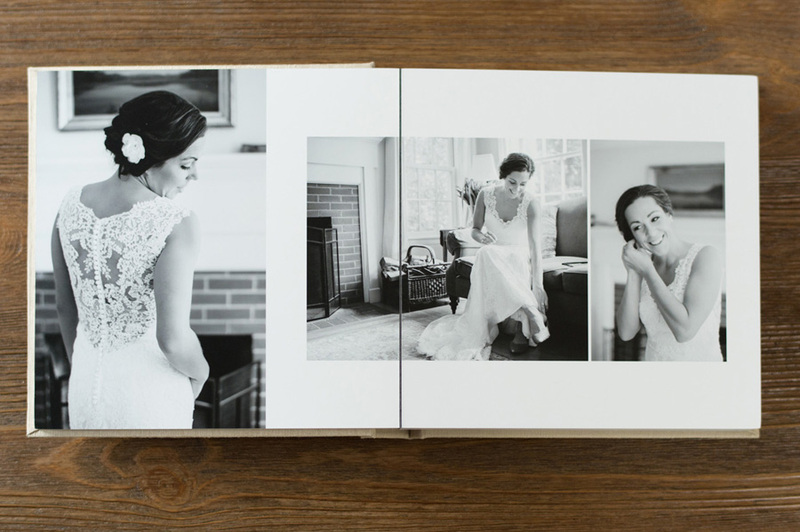 Caroline Talbot is a talented Massachusetts wedding photographer whose work we absolutely adore! 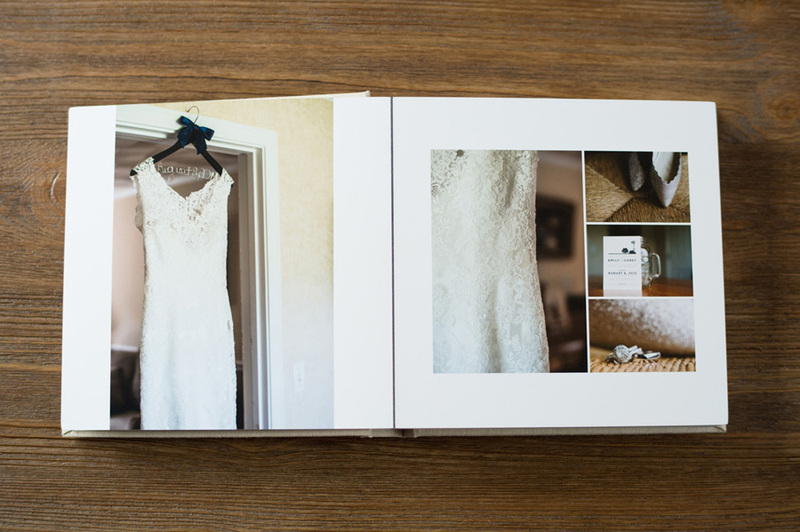 Our favorite thing about working with Caroline is that she knows what she likes and is awesome at explaining her design preferences! 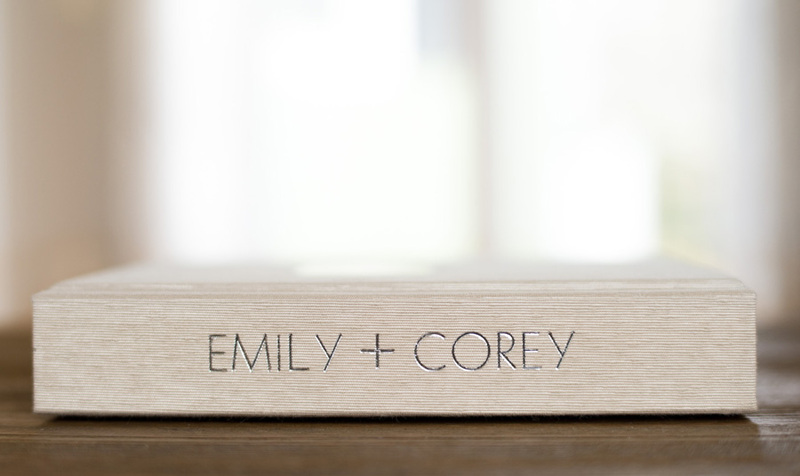 We keep a record of preferences for each photographer we work with so that those elements can be applied to all of their future designs. So if you're on the fence about outsourcing your album designs for fear of losing your signature look, I encourage you to give it a shot! The key is communication -- as long as you explain what you like (or show us samples! ), your designer can be a style chameleon! 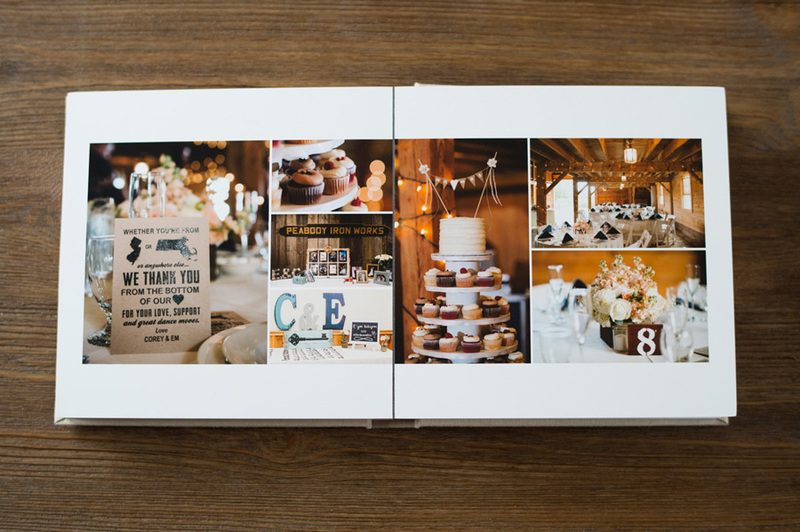 So whether you like a style a little simpler than our Classic Style (like Caroline's album below) or you want us to use lots of images with very little white space, just tell us! 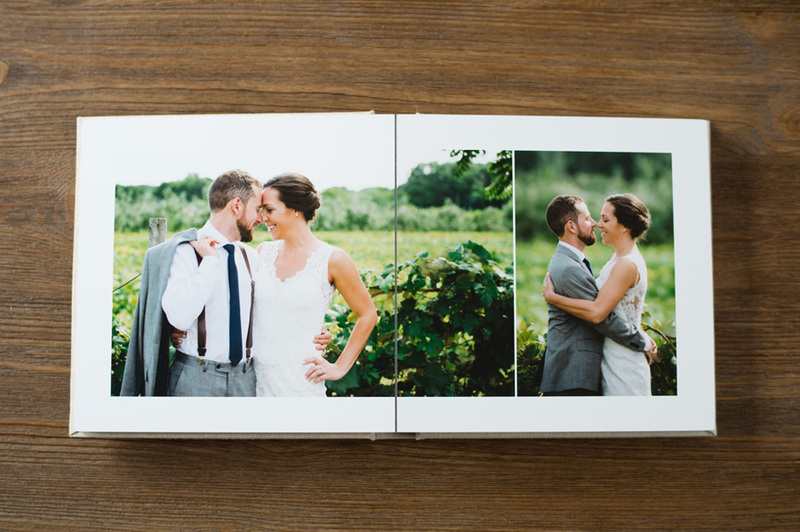 Another reason why Caroline rocks -- she sent us photos of the album she had printed at Leather Craftsmen! So awesome! 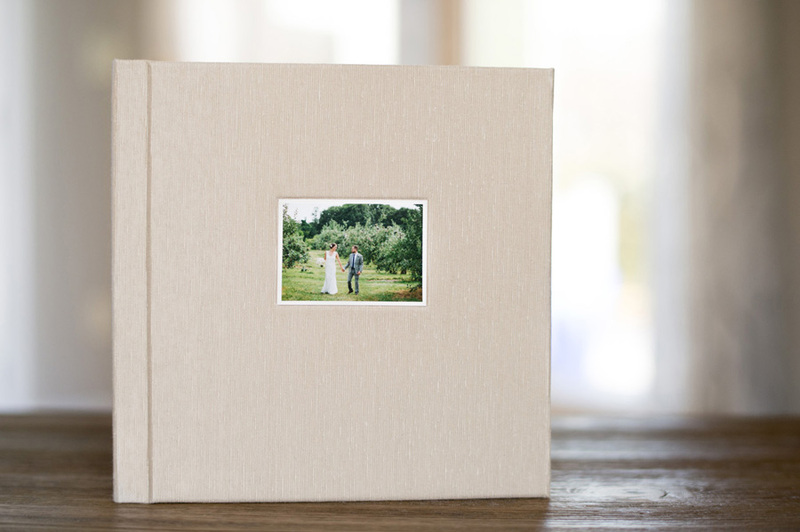 We especially love getting to see an example of how Leather Craftsmen's Split Edition albums look with the gap in the center, since we make specific design choices based on this product type. Here is the full album design! Enjoy!